You are the current highest bidder! To be sure to win, come back on May 10, 2017 12:28 EDT (17:28 BST) Date Format as the lot closes or increase your max bid. 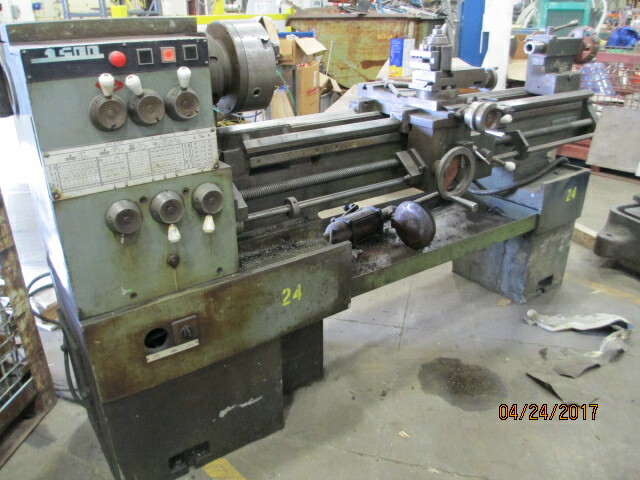 16"/24" x 56" Geared Head Gap, 45-1800 RPM, L-2 Long Key Nose, Removable Gap, Trav-A-Dial, 2" Hole, Inch & Metric Threading, Lead Screw Powered CrossSlide.